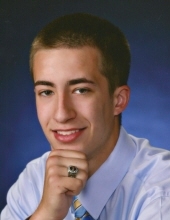 Jeffrey W. Derby, age 28, a lifelong Hudson resident who is deeply beloved by his family and friends, died unexpectedly at home on Saturday, April 6, 2019. He was born at Emerson Hospital in Concord on October 30, 1990 as the cherished son of Christine (Maue) Derby of Hudson and the late James B. Derby. An incredible athlete, Jeff got attached to hockey at an early age and quickly excelled. He participated in the Hudson Youth Dek Hockey League, Starhawks Youth Hockey in Westborough which his father helped coach, the men’s league at New England Sports Center in Marlborough, and the Central Mass Outlaws travel team. He also played varsity hockey beginning in eighth grade, ultimately leading Jeff to become captain of the team his senior year at Hudson High School, where he graduated in 2009. He also enjoyed countless NASCAR weekend trips to Pocono Raceway alongside his father, uncles, and friends. Jeff was a true outdoorsman. From fishing on Lake Boon and Winnipesauke, camping in the Berkshires, to hiking in the White Mountains in Lincoln, NH, his passion for the great outdoors never yielded. Jeff will also be remembered by his enthusiasm for cars – the faster the better. He enjoyed dirt biking with friends and motorcycling with his dad. An amateur self-taught mechanic, he often performed repairs or maintenance on his own vehicles. He was currently employed by Foley & Sons Tile and Flooring Company in Maynard. Jeff was a jack-of-all-trades handyman. He could restore antique windows, replace drywall, hang gutters, and loved to learn and apply new skills, in particular the teachings from his grandfather. In addition to his mother, Jeff leaves behind his devoted sister, Erin Derby and her fiancé Christopher Tracy of Hudson, and many loving aunts, uncles, cousins, and friends. He was especially close with his late grandparents, Ward F. and Elizabeth A. Maue. Family and friends are invited to gather and celebrate Jeff’s life during visiting hours on Thursday, April 11th from 5 to 7 pm in the Dee Funeral Home, 27 Bedford Street, Concord Center. Funeral services are private. In lieu of flowers, contributions in Jeff’s memory may be made to Learn To Cope, 4 Court Street, Suite 110, Taunton, MA 02780 (www.learn2cope.org). Arrangements are under the care of Dee Funeral Home & Cremation Service of Concord. "Email Address" would like to share the life celebration of Jeffrey W. Derby. Click on the "link" to go to share a favorite memory or leave a condolence message for the family.